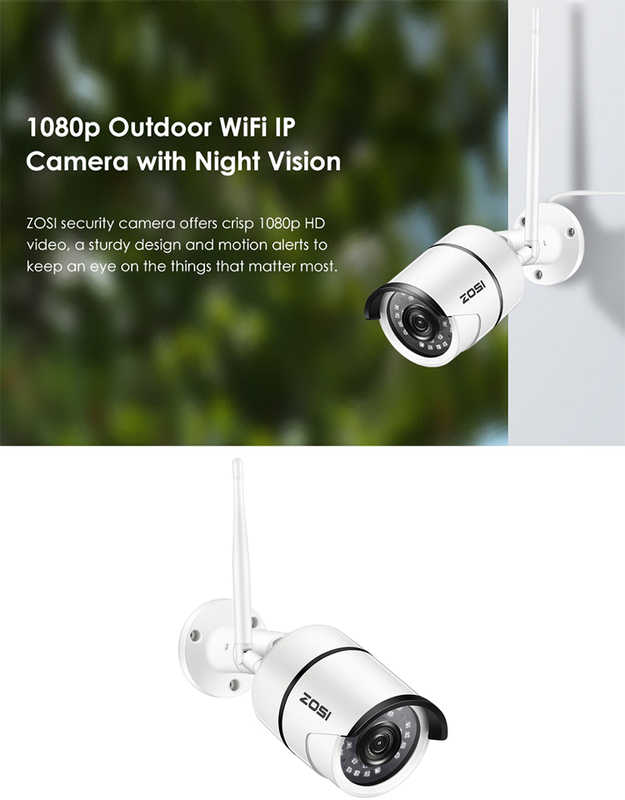 ZOSI security camera has an automatic infrared filter that provides 1080P HD video for visual enjoyment. The white appearance is simple and elegant. 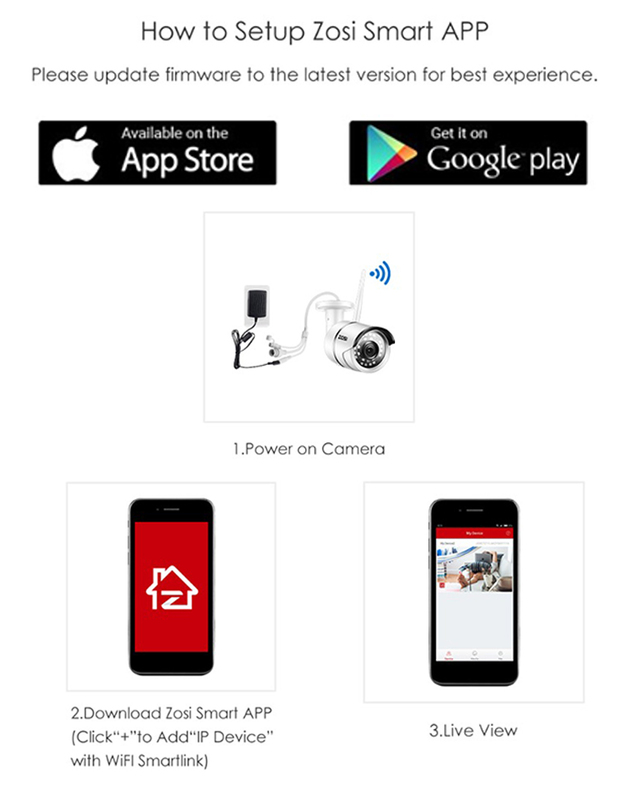 It is a small camera, but it has a lot of energy. Contains multiple functions, satisfy your needs as much as possible. 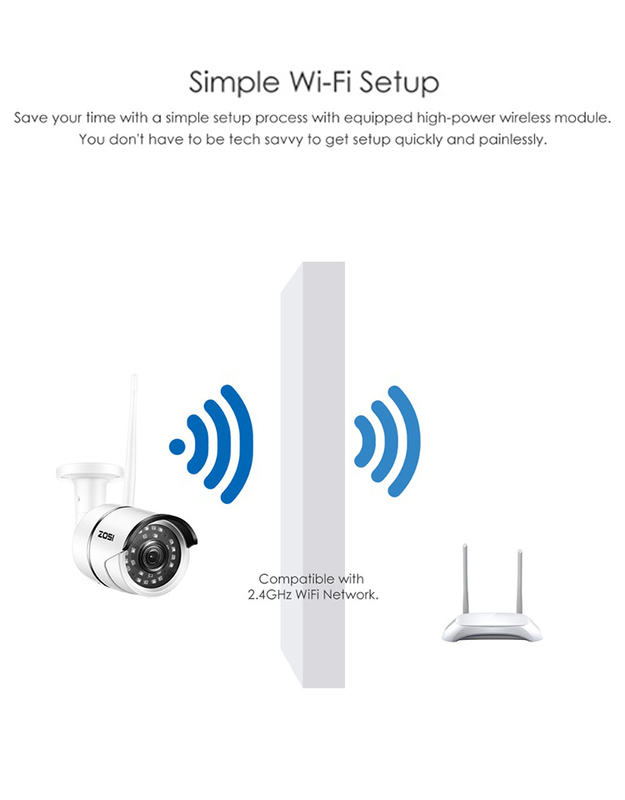 Simple operation allows you to quickly set up WiFi. 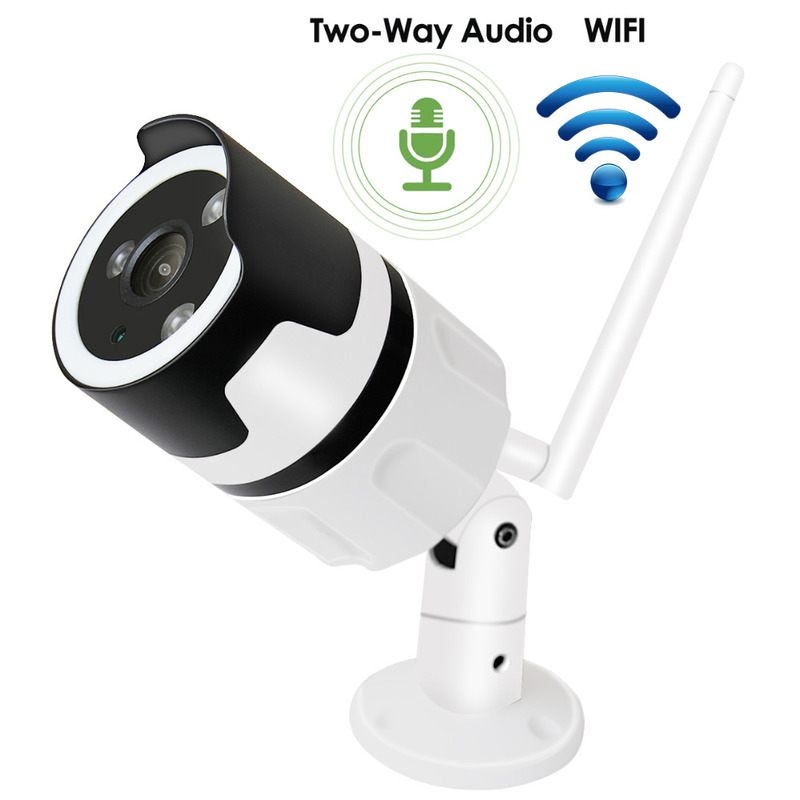 Compatible with 2.4GHz WiFi network(Not supports with 5G wifi network). 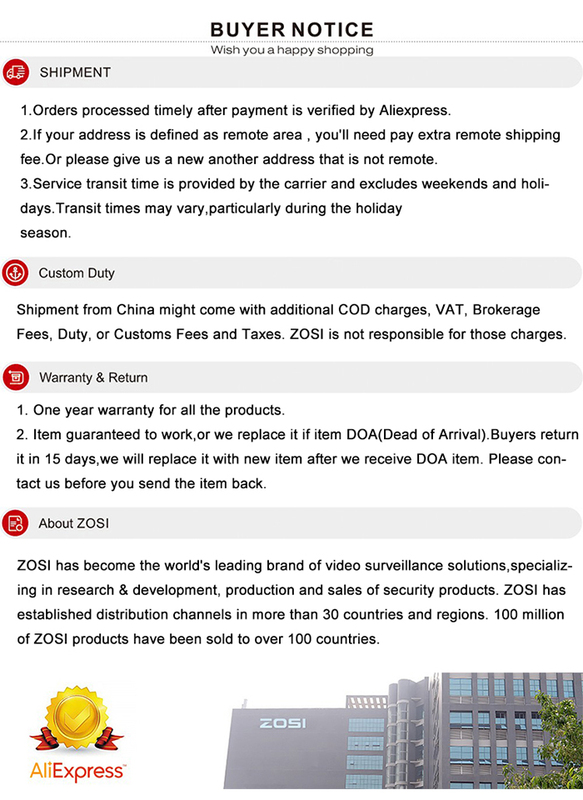 Watch videos on app Zosi Smart anytime, anywhere. Just install it as long as there is a power outlet. 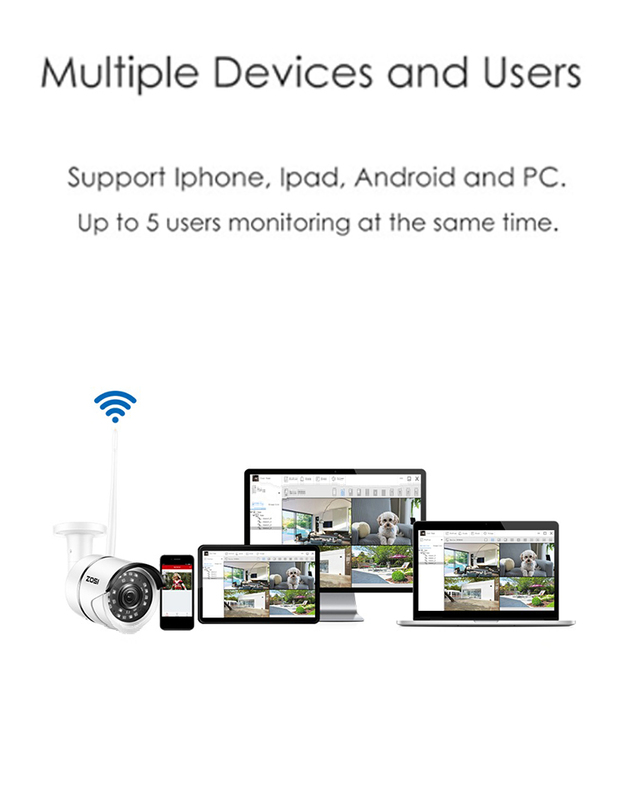 Support up to 5 users to monitor at the same time. 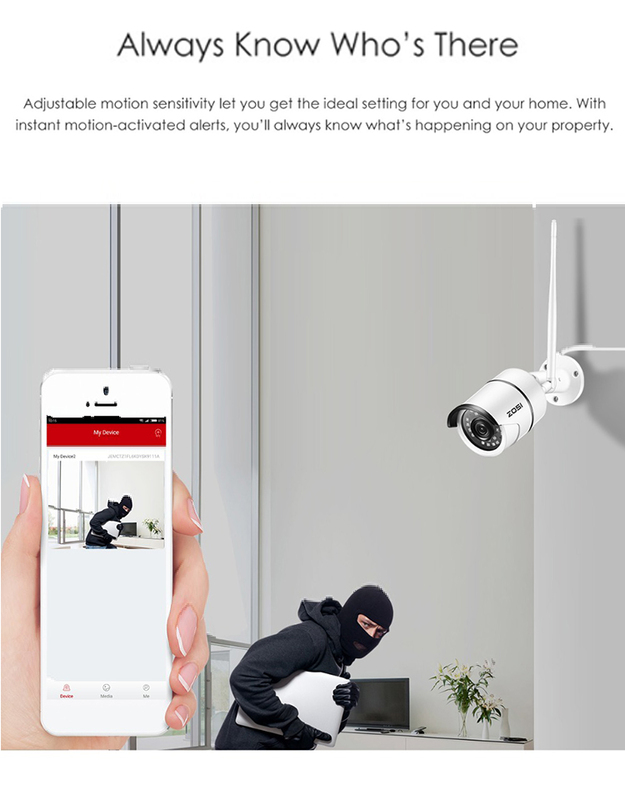 Motion detection and alarm. 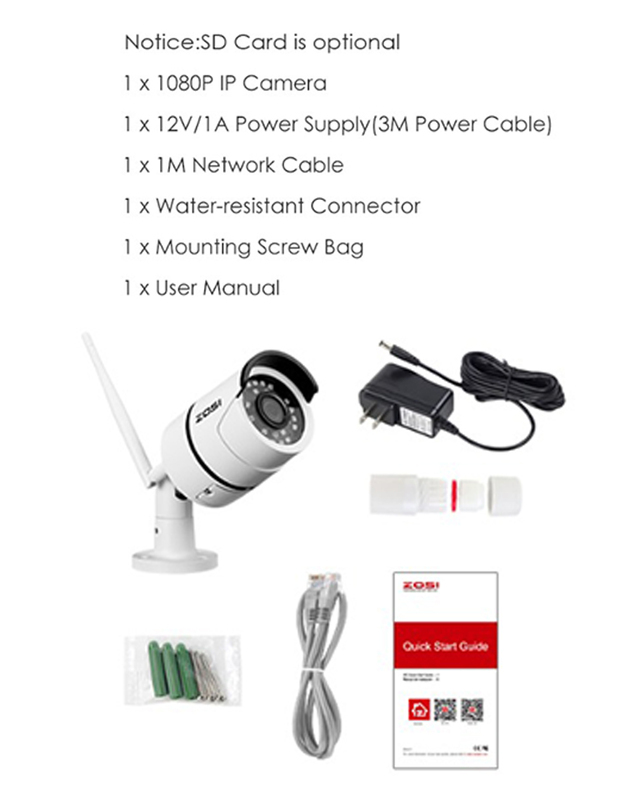 Protect your property and safety. 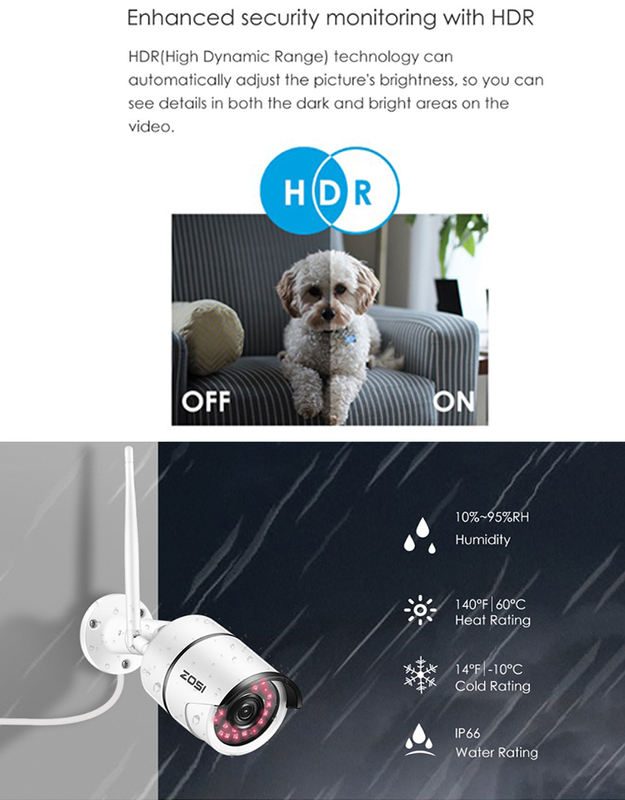 HDR technology can provide you a good view both in day or night. 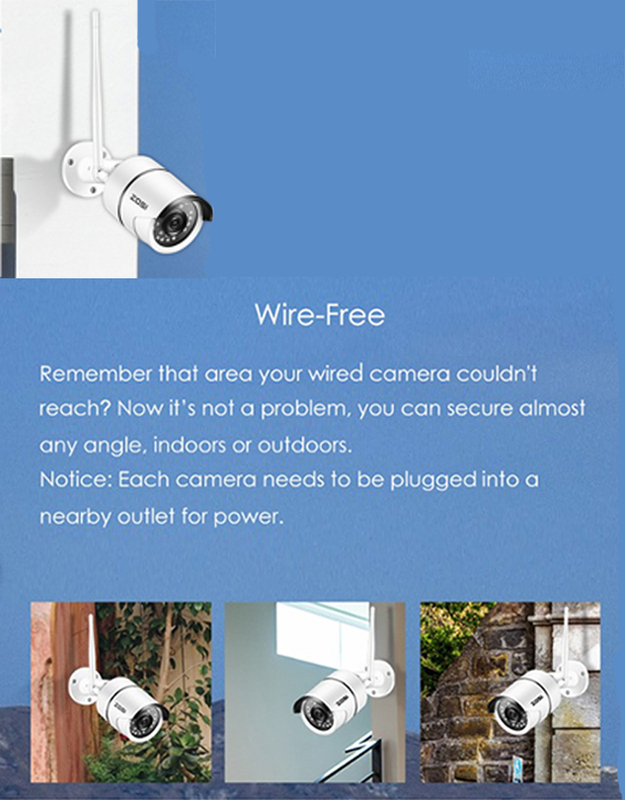 With IP66 weatherproof aluminum housing, the camera can be perfectly used indoors and outdoors. Note: The camera does not have a TF card.